Discover the timeless allure of breathtaking Provence with this intimate floral bouquet. This fragrance opens with fruity nuances of pear and black currant. At the heart, jasmine, rose and violet blossoms bloom on a gourmand base of vanilla, patchouli and tonka bean. Discover the timeless allure of breathtaking Provence with this intimate floral bouquet. Catherine Malandrino Romance de Provence opens with fruity nuances of pear and black currant. At the heart, jasmine, rose and violet blossoms bloom on a gourmand base of vanilla, patchouli and tonka bean. Catherine Malandrino Romance de Provence EDP Fragrance 1oz 30ml Discover the timeless allure of breathtaking Provence with this intimate floral bouquet. Catherine Malandrino Romance de Provence opens with fruity nuances of pear and black currant. At the heart, jasmine, rose and violet blossoms bloom on a gourmand base of vanilla, patchouli and tonka bean. Catherine Malandrino Romance de Provence Gift Set Includes: - Catherine Malandrino Romance de Provence 3.4oz (100ml) EDP Fragrance - Catherine Malandrino Romance de Provence 6.8oz Body Lotion - Catherine Malandrino Romance de Provence 10ml Sprayer Discover the timeless allure of breathtaking Provence with this intimate floral bouquet. 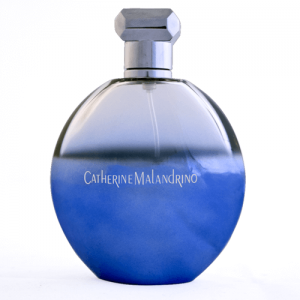 Catherine Malandrino Romance de Provence opens with fruity nuances of pear and black currant. At the heart, jasmine, rose and violet blossoms bloom on a gourmand base of vanilla, patchouli and tonka bean. Catherine Malandrino Romance de Provence Rollerball 10ml A convenient easy-to-carry rollerball with the great scent of Romance de Provence. Discover the timeless allure of breathtaking Provence with this intimate floral bouquet. Catherine Malandrino Romance de Provence opens with fruity nuances of pear and black currant. At the heart, jasmine, rose and violet blossoms bloom on a gourmand base of vanilla, patchouli and tonka bean. Catherine Malandrino Romance de Provence Purse Sprayer 10ml The great scent of Romance de Provence in a convenient travel sprayer. Discover the timeless allure of breathtaking Provence with this intimate floral bouquet. Catherine Malandrino Romance de Provence opens with fruity nuances of pear and black currant. At the heart, jasmine, rose and violet blossoms bloom on a gourmand base of vanilla, patchouli and tonka bean. Catherine Malandrino Romance de Provence Body Lotion 6.8oz 200ml A luxurious moisturizing lotion with the scent of Romance de Provence. The great scent of Romance de Provence, in a convenient, plastic pump sprayer. Sign up now and be the first to learn about new collections, private events, store openings, exclusive promotions, and much more.